There was a party tonight at the Bing Theatre. It’s called the Sitzprobe for Grease. The Sitzprobe, AKA the Sitz, the first time the orchestra plays and the actors hear the full orchestration of the show that they’ve been learning for the past four weeks accompanied only by a piano. An amazing piano, but a sole piano nevertheless. Tonight, after the afternoon tech rehearsal, we bade goodbye to Ryan O’Connell, our wonderful accompanist, as that was his last rehearsal. The Musical Director Parmer Fuller, will play the dress rehearsals and performances. The Sitz also represents the end of tech rehearsals, and is the bridge between tech and the dress rehearsal process. The actors have been caged and confined over about twenty plus hours of tech, a stop and go process where light cues are built, mic levels are set, transitions are rehearsed and perfection is achieved…. Oh, wait, we’re not quite done yet. But they are uncaged tonight – they are celebrating the crystalization of their show. It is a joy to see. Director Jeff Maynard has run a tight ship. The rehearsals began on February 9th, and here we are on March 29th with a strong semblance of a show and three more nights til opening. The scene work is tight, the characters clearly defined and relationships are strong. The ballads show that the actors are secure in their stories. The ensemble is enthusiastic and well coordinated, with rich individual backstories and witty choreography. Tonight, the cast of thirty are dancing, and singing and just killing me with their enthusiasm. 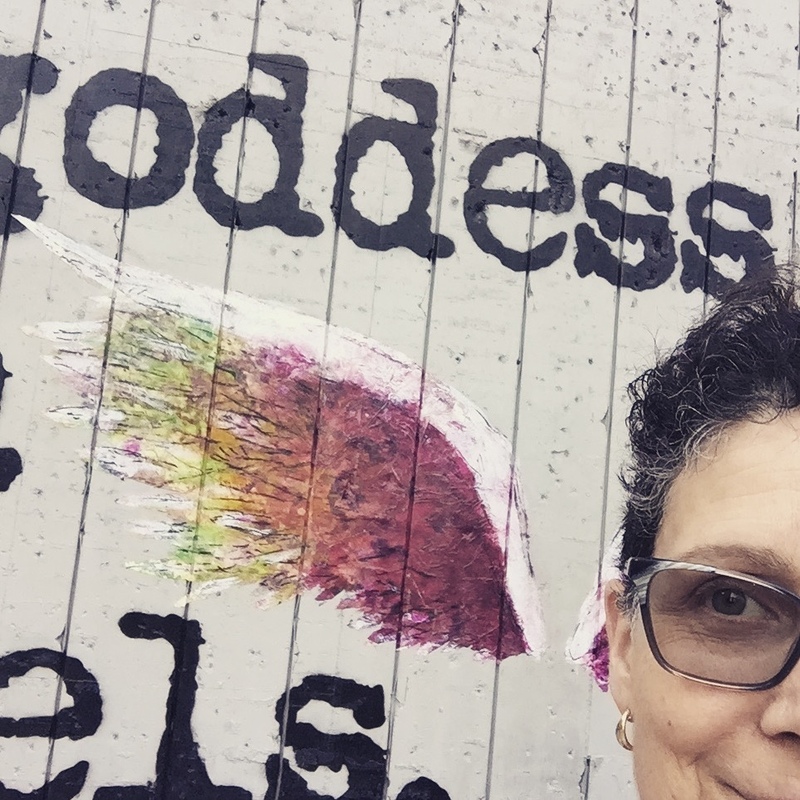 Dana Solimando’s spirited choreography has come alive with the addition of the guitars, saxes, drummer, and electric bass. The actors are confident of their choreography and enjoying having accompaniment. Alex and Jessica update their paperwork backstage before the start of tech. 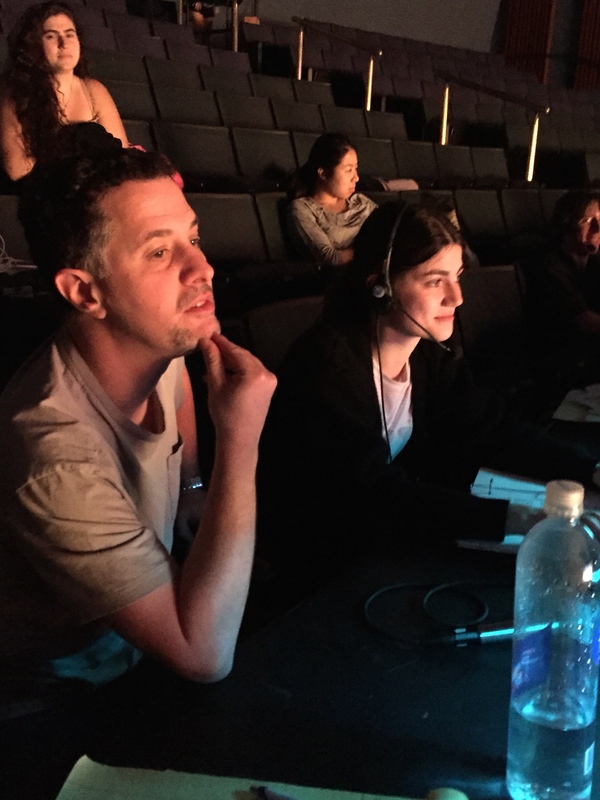 Jeff and Dana have been supported by a fierce team of stage managers, led by BFA Stage Managers Kelly Merritt, and her assistants, Jessica Major and Alex Rehberger. The designers are in the home stretch; set designer Dreem Qin and her assistant, Lea Branyan jump up on stage whenever a break is taken to add some new detail to the walls. Lighting Designer Austin Allen and his assistants, Liam Sterbinsky and Nicole Eng are working the kinks out on the marquee, and on internal cues. Everyone’s been working hard, but tonight is Musical Director Parmer Fuller’s night. Parmer has the God Mic tonight, and his clear instructions to the cast and musicians are what we should be hearing in the theatre. And for the most part, they are. This night is for the Orchestra’s integration into the show. It’s a really busy night for Sound Team Phil Allen and Danielle Kisner, supported by Stephen Jensen and Emma Bramble. 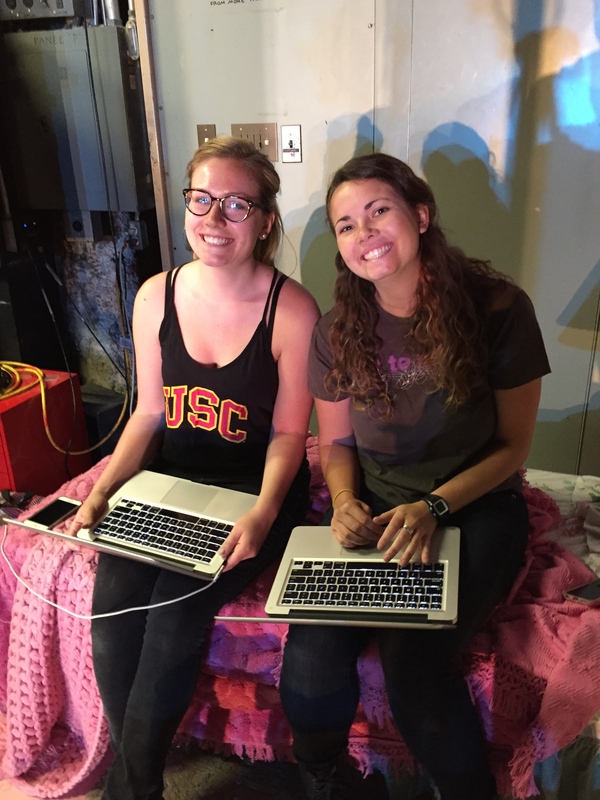 Danielle, who is mixing the show tonight for the first time with both orchestra and cast, has her hands full. Phil jumps in occasionally at the board to make adjustments, but Danielle is actively mixing the show. Danielle is a Junior in our BFA Sound Design program. 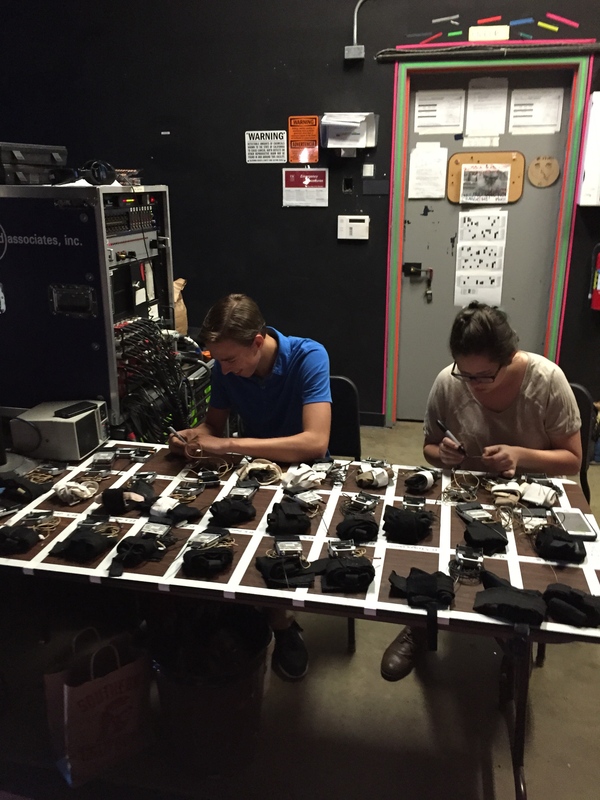 Sound PA Stephen Jensen and A2 Emma Bramble prepare mics backstage prior to the tech. In addition to hearing The Burger Palace Boys confidently singing “Greased Lightning” while they stomped out their number, were the squeals and appreciative laughter and clapping of the entire female ensemble, led by the Pink Ladies who darted out through the house doors to sit in the orchestra and pay homage to the Burger Palace Boys as they jumped up and down on my car. I know it is probably really bad theatre CARma to talk about specific numbers that will bring down the house, but I can’t help it, as they couldn’t help themselves as well, so excited were they to let the boys know they were amazing. “Nothin’ wrong with a crowd pleaser,” Professor Allen said during our dinner break tonight. The Sitzprobe has always been my favorite rehearsal in a musical rehearsal process. As a stage manager, it’s when you actually hear the instrumentation which you will rely on to call the lighting and sound effects cues, as well as followspot cues. Generally,too, you aren’t running the full tech of the show, so it is your first and best time to appreciate the addition of the musicians to the process. Director Jeff Maynard sits at the tech table, Kelly Merritt, the Stage Manager beside him. Kelly, at the tech table with her prompt script watches and listens, a huge grin on her face in between calling cues. I recognize that from my experience of Sitzprobes, and I’m feeling a little jealous of her process at this point. Trust me when I tell you that it is really fun to call a musical. Freshman, Sidne Phillips, cast as Sandy, sang “Hopelessly Devoted to You.” The Burger Palace Boys all snuck into the house to listen and appreciate her rich and full voice. The rest of the Sitz goes very smoothly, and while the actors eventually show the wear of the past 25 hours of tech, they still clearly demonstrate their love of performing in all the dance numbers. This creative team has been very busy to have accomplished so much work. Hope you’ll come see the show when it opens on April 2nd.